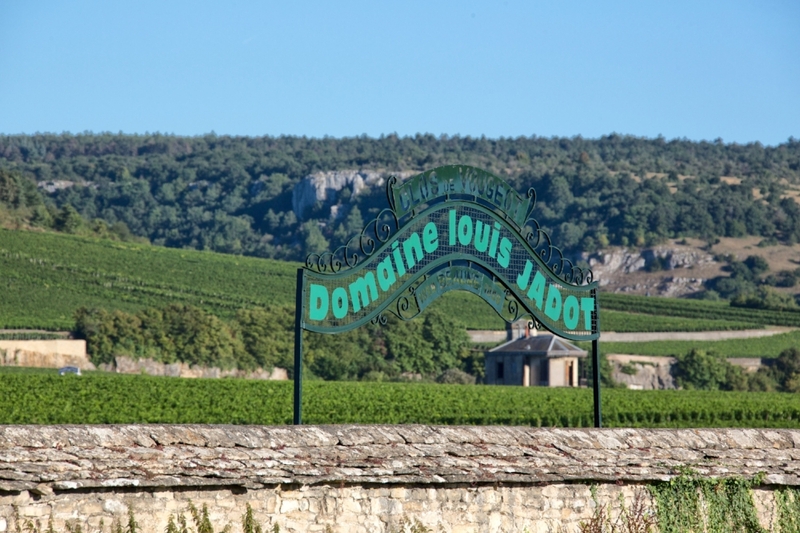 Maison Louis Jadot, one of the iconic grand houses of Burgundy produces wines from over 300 hectares of vineyards across Burgundy (owning or directly controlling 120 ha in Côte d'Or, 87ha in Beaujolais and 18ha in Maconnais, out of which majority are in Pouilly-Fuissé). For forty years until 2010, the highly renowned and well respected Jaques Lardiére was the chief winemaker. He was then succeeded by Frédérick Barnier who has since been in charge of the wine making for the Group. In November 2017, I was invited to attend the Louis Jadot 2016 Enprimeur at the BAFTA, a prestigious venue in the heart of Piccadilly Circus in London, where I happened to be tasting beside a tall, slim and immaculately dressed gentleman. Impressively bilingual, he switched easily between French and English when needed. Not only were his taste buds supremely perfect, but he also seemed to knew the fruit quality, style, soil structure, altitude and microclimate for each of the 100 plus wines of Louis Jadot displayed in front of us. He was standing in the queue, patiently waiting for the pour just like the rest of us, as he smiled and nodded at the people and event staff passing by. Watching him speak about the wines with such conviction, I finally took the courage and extended my hand to introduce myself, expecting him not to take notice of lesser mortals like me...and was pleasantly taken by surprise to realise that.. well, he was the boss of the wines himself...in other words, the Head winemaker of the entire Group! Now that is a huge role, to be working across and producing wines from over 150 appellations... He continued talking to me, immediately getting back to where he had paused before our introduction, talking about the wines like they were his little children (and so they are!) explaining the minute differences in the selections of wines of Louis Jadot and picking the ones I should compare and contrast. Finally concluding that 2016 has been one of the challenging vintages for him but it was also closest to a ‘Classic Burgundy’ vintage so although volumes are low, it should not turn off consumers at all. It was the most intellectually enlightening introduction to a really modest wine maker, that I have had, one who runs one of the biggest houses of Burgundy. And throughout my conversation with him, there was a common theme underlying Frédéric's purpose as a wine maker, which not only showed his love and devotion for Burgundy but indeed the most humble respect for Louis Jadot as a true terroir producer. “I may be the wine maker here but I am not here to add anything. I am here NOT to take away any of the beauty of the terroir from where Louis Jadot makes their wines,” Frederic insists. The mission that Frederic has humbly chosen to accept is to retain the production style as they were and not to change or add or take away anything drastic or dramatic. Tell you what! That is tough if you think about it. To maintain status quo, especially if you have been given such a highly respectable role, which you wish to impress upon through your own experienced wine making flair and skills. And its not that Frederic is not ambitious…. He is ambitious but also determined to retain the traditions of Louis Jadot that has taken it to become such a quality driven prestigious brand! Frederic knows way more about Louis Jadot that we do. According to him , Louis Jadot wines talk and express the terroir uniquely and the intention is to involve minimal human intervention while preserve the maximum natural expression of the land from where the grapes are made. Such is the humility of the man who has been behind crafting Louis Jadot for the last 8 years. We spent the next few minutes talking about his experience and his views and I was talking to the Burgundy savant himself! Below is the brief of my conversation and Frederic’s answer below. Sumi: What has been your background into winemaking and who has been your role model? FB: My first vintage was in 1999 in Burgundy in Côte Chalonnaise with Domaine Voarick in Mercurey. For the next 10 years I worked for the Picard Family who owned Chateau de Chassagne Montrachet before I joined Jadot in 2010. I do consider myelf lucky to have worked 3 years with Jacques Lardières of Louis Jadiot, before I took over the wine making role in Louis Jadot. Equally I am also grateful to Michel Picard for what he has taught me. Sumi: So…in essence no changes in the wine making since you took over charge of technical side of Louis Jadot? FB: Nothing at all! We are loyal to the Jadot line. The team behind the label could change but that will NOT change the wine. Sumi: What in your view is the most crucial role of a Technical Director in the wine making? FB: To be patient is one of the most important virtues as a wine maker and secondly, being confident in the strength of our appellations. Less of intervention, more of observation of the evolution and being constantly with the wines day and night and seeing them evolve is what I do most of the time. Through this, my job involves making sure the classic Burgundian precision, expression and rigor comes through without any, I mean NO damage to the quality of grapes. It looks simple but it is an art that comes through only if you display patience and sensitivity over years of handling vintages. Sumi: Surely must be emotionally challenging as a role is for you. How do you unwind when not working or tasting wines? FB: I have 4 children and a wonderful wife . I’m busy at home! And I run and do a lot of sports and diving in the summer. I find that very refreshing and invigorating! Sumi: If offered an opportunity to work in the wine business outside France, where would that be? FB: Definitely New Zealand. I have always dreamt of living there. It is so mighty but with very few people and that is the attribute I love - it is an unspoiled country! I would like to take my family during the years that it still remains quiet, untouched and wild! Sumi: What do you like to drink on a Friday evening? FB: Something that’s easy to drink. I’m more red than white and I like to taste a variety of wines including an exotic Bordeaux! It is more about appreciating the best that a wine can offer. But if I am tired and have had a long and tiring tasting and discussion, I will reach out for Beer. Sumi: Which of your wines have pleasantly surprised you as they have evolved. FB: “Lesser known villages” like Santenay or Fixin after 20 years. We are lucky to have a deep collection of old vintages and so we are lucky to access these secret surprises as they age and these wines still so powerful and complex even after 20-25 years. And also some of the vintages which were rated as “challenging” on paper have surprised us like the 1997 which just is mindblowing now to drink! Sumi: What range of wines in your opinion, stand out the most amongst all Louis Jadot wines? FB: Our capacity to produce consistently a such large range of diverse wines. We also try our best to make the best out of the 2 barrels of Musigny, a miniscule 1% amount we craft (as the vineyard makes the balance 99% of the final quality). But actually, our Macon Villages Bourgogne Chardonnnay is very quality driven and a top class wine and we are very proud of it. Sumi: Which according to you has been Burgundy’s best vintages in the last 20 years. And what in your opinion, does the future hold for Burgundy? FB: Well, if you look back, the past twenty years were either top class or good quality vintages. We are very blessed not to have had a terrible vintage since 1999. Some of our noteworthy vintages are 2015, 2012, 2010 2009, 2005, 1999 for reds. 2002, 2008, 2010, 2014 for whites. My first vintage in Burgundy was 1999. Not so bad at all! And I super lucky that 2010, which was my first one in Jadot turned out to be a great vintage - very delicate and bright! Sumi: The challenge(s) you foresee for Burgundy? FB: The next challenge will be to produce great wines with a sustainable viticulture from the whole of Burgundy. We have the responsibility to produce better grapes with as less impact as possible for our future generation. This is going to be a huge challenge especially given the variations in climatic pattern year on year. We do face unexpected weather problems from time to time, such as out of range frost, heavy rains and cold weather front which makes viticulture tough. But that does not take away our responsibility to work towards responsible viticultural practices.